Being Your Own Boss – And Loving It! How does it feel to give yourself a pay cheque, a bonus, a promotion? When you are self-employed, you are the boss. What a feeling! But also remember what US President Harry Truman said, “The buck stops here.” The other side of self-employment is self-reliance. Being self-employed is primarily a way to earn an income. But it is also a method of self-expression, a way to express your individuality and celebrate a sense of accomplishment. The first thing you need to do is decide what your goals are and how you can achieve them. What are the specific skills, knowledge, resources, information and contacts you will need to make a success of your business? If you need help in any specific area, it is best to find out how you can fill the gap. One area in which many self-employed people need help is accounting. Knowing what to write off as business expense can often save enough to hire a good accountant – a wise investment, specially when you are starting out. The self-employed often get themselves into a hole by not putting away enough for taxes and other expenses. Money should be set aside for these expenses in a separate bank account. A challenge the self-employed face is motivation. Can you put in a full day’s work – in fact, more than a full day’s work if you want to succeed – without a boss looking over your shoulder? You need to establish a schedule and stick to it. Put yourself in an environment where you can do your best and most productive work. It could be at home in a converted bedroom, or a shared office, or even a coffee shop. Decide what works best for you under the circumstances. The best motivation, of course, is knowing that if you don’t deliver, you won’t get paid. Wear two hats when you are working for yourself: one as the client or boss and the other as the employee. Networking full time is a must for the self-employed. Maintain ties with your old employers and colleagues. The company you have worked for already knows your talent and abilities and may have a suitable project or consultancy to offer. This can be a good stepping stone as well as a reference point for new clients. 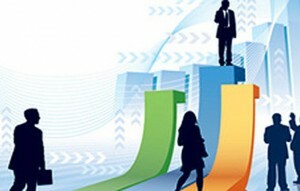 There are events at which you can meet people who could be prospects for business. Attend as many as possible and follow up the meeting with an e-mail giving details about yourself and suggesting how you might be of help to them. Good salesmanship is a valuable asset. You must develop the ability to sell – more importantly, convince people to buy. Learn how to market yourself. And don’t get discouraged if the door doesn’t open. Look for the side door and the back door – they always exist and are much less guarded. You also need to develop your problem-solving skills. Take the time to think through the problem and try and find out-of-the-box solutions. Don’t hesitate to get help if you need it. You have to take responsibility for your decisions and your actions. You also need to take some risks and have fun with your new venture. When you are self-employed as well as self-reliant – there’s a whole new world opportunity waiting for you.